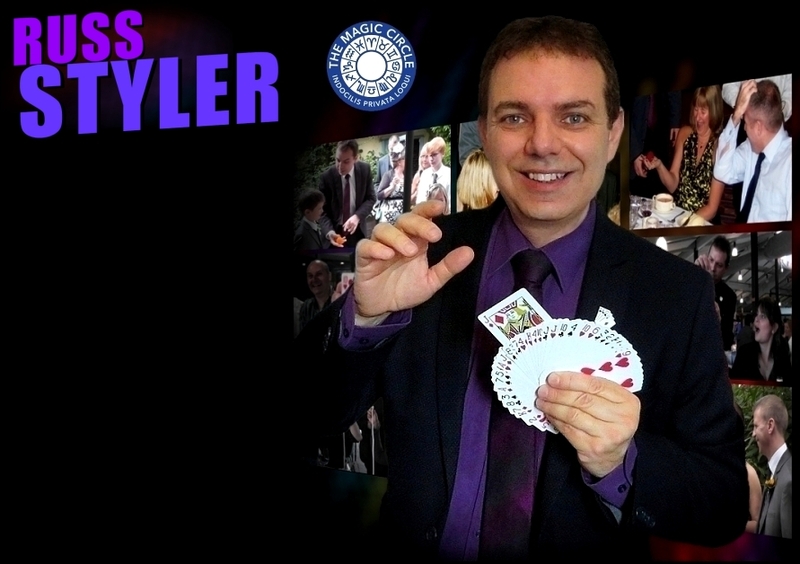 Based near Luton, Bedfordshire, Russ Styler is a highly experienced, professional magician whose combination of amazing sleight-of-hand magic and humour have been key factors that have made him a most popular, sought after choice in Luton for weddings, corporate events, adult birthday celebrations, dinner parties etc. Russ also performs his magic UK wide and has worked just about every kind of venue there is from from top London Hotels such as Grosvenor House and Dorchester to the cosier confines of the local pub restaurant! 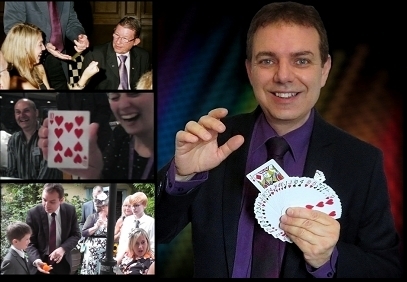 Based near Luton in Bedfordshire, Russ Styler is a highly experienced, professional magician whose combination of amazing sleight-of-hand magic and humour have been key factors that have made him a most popular, sought after choice in Luton for weddings, corporate events, adult birthday celebrations, dinner parties etc. In addition, Russ has also worked summer seasons as close-up and cabaret magician in the UK and Scandinavia and is a member of the Magic Circle, the International Brotherhood of magicians and Equity. So whether your event is in Luton or further afield, Russ is happy to quote and looks forward to bringing his magic to your event soon! 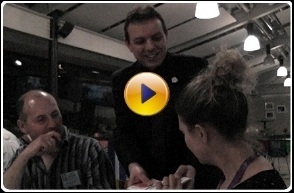 Magician Luton for close up table magic or shows. Hire also for birthdays / anniversary party / company annual dinner / prom / garden party etc. 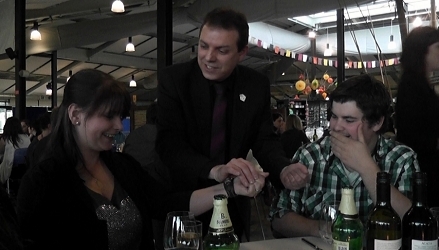 Magician Luton for close up table magic or shows. Hire also for birthdays / anniversary party / company annual dinner / prom / garden party etc. Russ is fully covered by public liabilty insurance.